We’ve finally got a lot more official details about the plot to Thor: Ragnarok, and while there is a lot of Planet Hulk going on, there seems to be a significant lack of, well, Ragnarok in the description we have so far. EW has a breakdown of the plot of the third Thor movie, and there are a lot of things missing from it. Mostly, it seems like a lot of detail about the beginning and then some very vague generalities. When we last saw Thor, he was flying off to figure out who was manipulating the Avengers at the end of Age of Ultron. Eventually, he hears rumblings of trouble in Asgard: His evil brother, Loki (Tom Hiddleston), has been impersonating their missing father, Odin (Anthony Hopkins). Loki’s rather lax governing leads to the reemergence of an imprisoned Hela (Cate Blanchett). It sounds like Hela gets out due to Loki not really caring if she does, but it doesn’t actually say flat out that Thor’s there because he knows what Loki’s up to. I’d guess that he does, and getting back to Asgard to get Loki out is a motivating factor for him. “Thor is a bit of a fanboy for the Valkyrie, the elite women warriors,” Hemsworth says. Thor is then forced into becoming a gladiator, which leads to his haircut and the loss of his trusty hammer. And then, yeah, it’s Planet Hulk time, as that’s who is Sakaar’s favorite gladiator. So when Bruce Banner (Mark Ruffalo) took off at then end of Age of Ultron, he somehow ended up on a distant planet fighting in an arena. And that is the most detail we get. It’s a solid description of what I’m betting is only the first act of the movie. We’re also told that Hulk and Thor’s reunion turns everything into a “sort of road-trip film,” which is probably the second act. I’d also hazard a guess that Earth is probably a brief stop on the “road trip.” That would explain when tag scene from Doctor Strange, where Thor asks the Sorcerer Supreme for help with his brother, takes place. That leaves the more traditional Ragnarok part—the part that the movie is actually named for—in the third act. Which makes sense, it’s likely to be the big, show-stopping battle, after all. 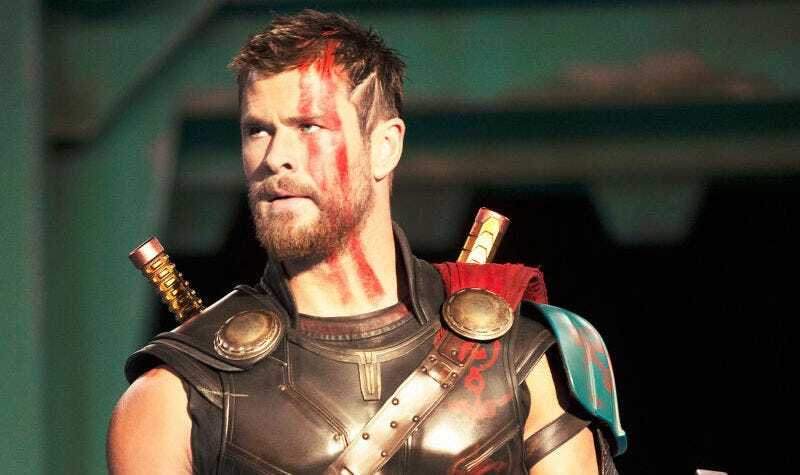 There’s a lot of talk in this article about how they’re tapping Hemsworth’s comedic skills for this movie, too, which diverts attention away from the obvious question of “Is Thor dying in this movie?” Because that’s the big thing about the Norse Ragnarok myth: Thor dies. This description of the plot is also sidestepping Hela’s evil plan and whatever Loki’s up to. But at least there will be no more rumors of Planet Hulk getting its own movie for a bit... at least until the rumor that there’s a prequel to this film that is even more Planet Hulk gets started.